Zen Cart free is full-featured, user-friendly, open source shopping cart software. Zen Cart is a software fork that branched from osCommerce which is built using PHP and MYSQL platform. The ecommerce web site design program is developed by a group of like-minded shop owners, programmers, designers, and consultants that think ecommerce web design could be, and should be, done differently. The exciting and striking features of Zen Cart have made it an internationally accepted e-commerce management web application. It extends its support to different languages, currencies and payment gateways. Although Zen Cart has no built in support for Multi-Store functionality there are extensions available to make it Multi-Store ecommerce. With Zen Cart we can help you start your online web shop quickly and efficiently. Just let us know your requirement and overview of your business we will get ready your online store where you can straight away start selling by adding products. If there is no plugin available to extend your needs no worries our Custom OpenCart Plugin development service is for you. We build the custom extension that resolved your need. If you don’t see your payment gateway included or there is no custom plugin that integrates with your payment solution provider, don’t worry we can develop one for you. 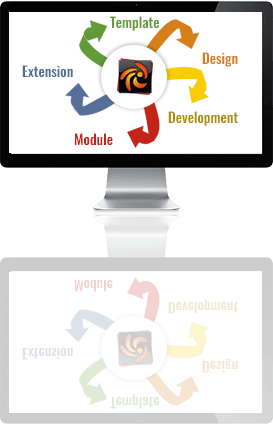 A Zen Cart custom template can also add new flexibility, better performance and visibility, along with unique content, features and functionality. We can develop a custom template for your Zen Cart site that can increase sales, improve brand value and increase search ranking for your site. We provide best SEO solutions over your zen cart site. We set your store SEO ready that can be indexed easily by search engines. With our advanced SEO solutions we provide you ways to create custom URLs, titles, descriptions, H1 and all that helps for best search engine visibility.